Winds Of Trade was released on Steam on February 13th. Since that first public version the game has been updated six times, receiving numerous UI upgrades, bug fixes and performance improvements. There were also some small cosmetic fixes that make the game more pleasing to the eye. Some changes to the sky rendering system made the game more aesthetically pleasing. For example, the game originally launched with no tutorials, as we believed it would be interesting and fun for the player to explore the game on their own. We were wrong, as the result was a steep learning curve that turned to frustration. It's our first title, so we still have a lot to learn. 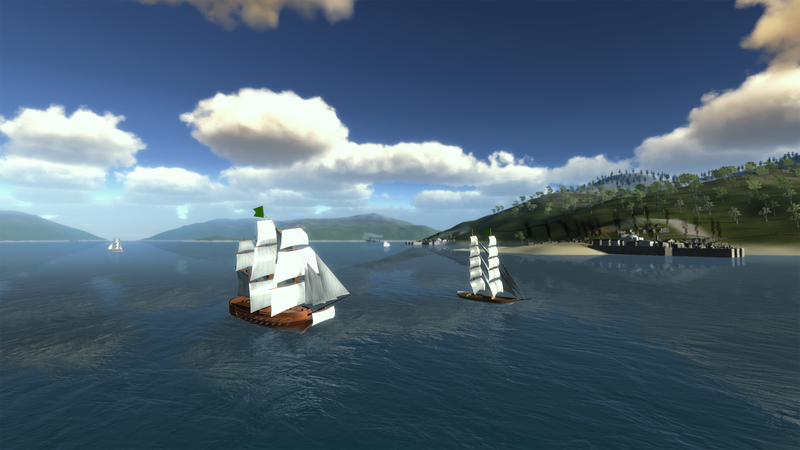 But the important thing is that we are 100% commited to make Winds Of Trade the best game we can possibly make. 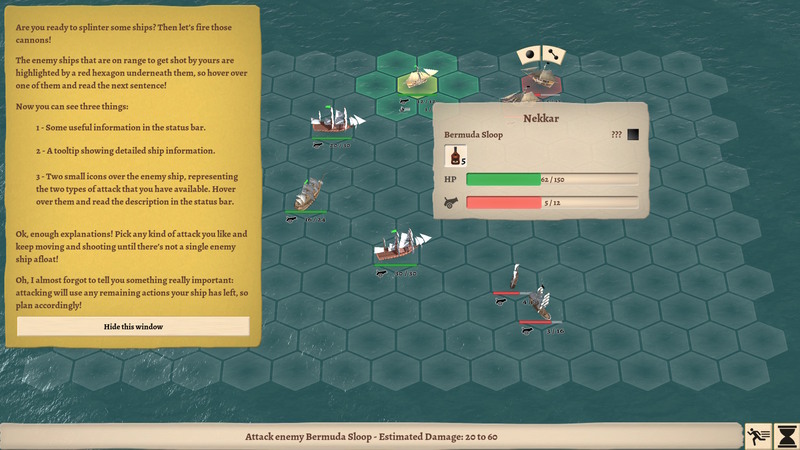 The addition of a Battle Tutorial helps players understand how the turn-based battle system works. Six updates later and the game is more stable, easier to play and more enjoyable than ever before. In these past 20 days we fixed 15 minor bugs, made 17 gameplay tweaks (particularly to game difficulty) and also added 24 UI improvements to make game data easier to access and understand, in order to allow the player to make their business decisions quickly and painlessly. The community has been incredibly helpful, providing tons of very useful feedback, reporting bugs and contributing an endless stream of excellent ideas. We are extremely thankful for having such a wonderful community of players. 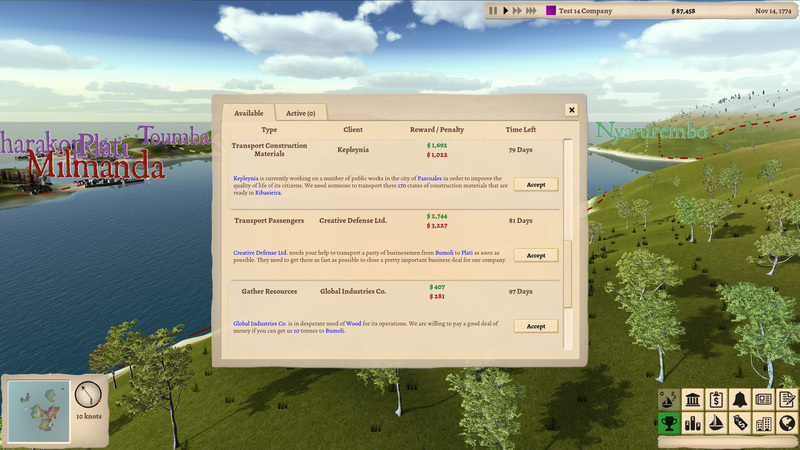 One of the players suggested some changes to the Contracts Window in order to make it easier to use. minimum and average prices for each resource. Assemble ships into a fleet that will always stick together while executing automatic trade route orders. This will let them create a group of trading ships guarded by powerful war ships so they are protected from pirates. Attack competitors' ships in order to have an edge over them, but at the cost of rapidly deteriorating the relationship of their company with governments. Purchase warehouses in cities in order to, automatically or manually, stock on resources. Upgrade trade offices in order to obtain more accurate information on the prices of the different goods. 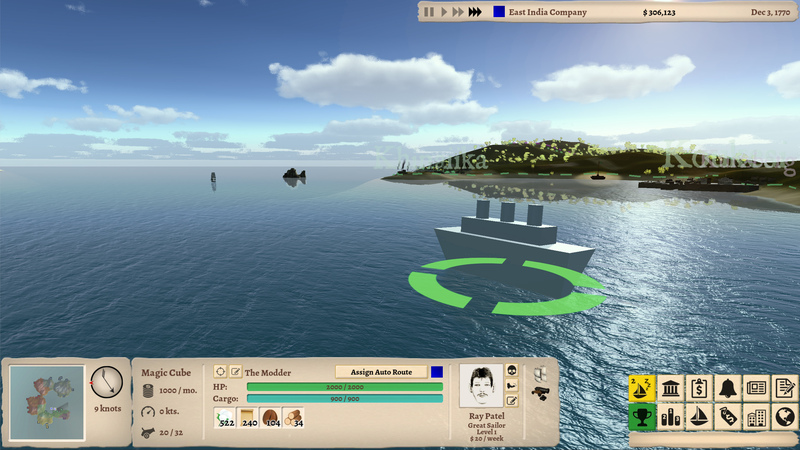 Train low-level captains to make them more proficient in their tasks. Trade several new resources, including tea, beer, spices and ivory. We are also running some very early tests to allow for mod support. We believe that user-generated content will add a whole new dimension to the game! So far we have ran some successful tests on a platform to allow content creators to design and add new ship types to the game. This ship type won't be included in the game, of course! Which is sad, considering it has 2000 hit points. After that new big update is released we have some very exciting plans for things that will make the game even more complex, challenging and fun! But let's not get ahead of ourselves! New ships coming to Winds Of Trade!